I think this new set (You're My Type) is simply adorable! I have been having fun making up some cards with this typewriter image, and here's one that we made at this month's stamp-a-stack. For this card, I used a craft knife to make a slit in the typewriter image and I inserted the stamped sentiment panel. It makes it look like there's an actual piece of paper in there! So stinkin' CUTE! 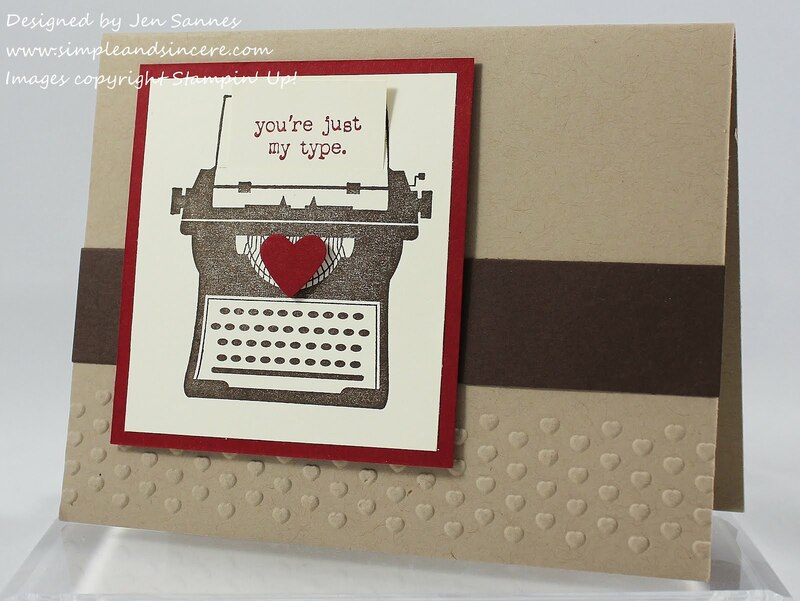 This card was a big hit at the stamp-a-stack, and I hope you like it, too. I'll be back tomorrow with a new Freshly Made Sketch to share. 'Bye for now! The "inserted paper" in the typewriter is TERRIFIC!